As a business affiliate, you or someone from your management team will work closely with a representative from our corporate office. In addition, you will collaborate on the site selection and cost factoring process for building out new locations. 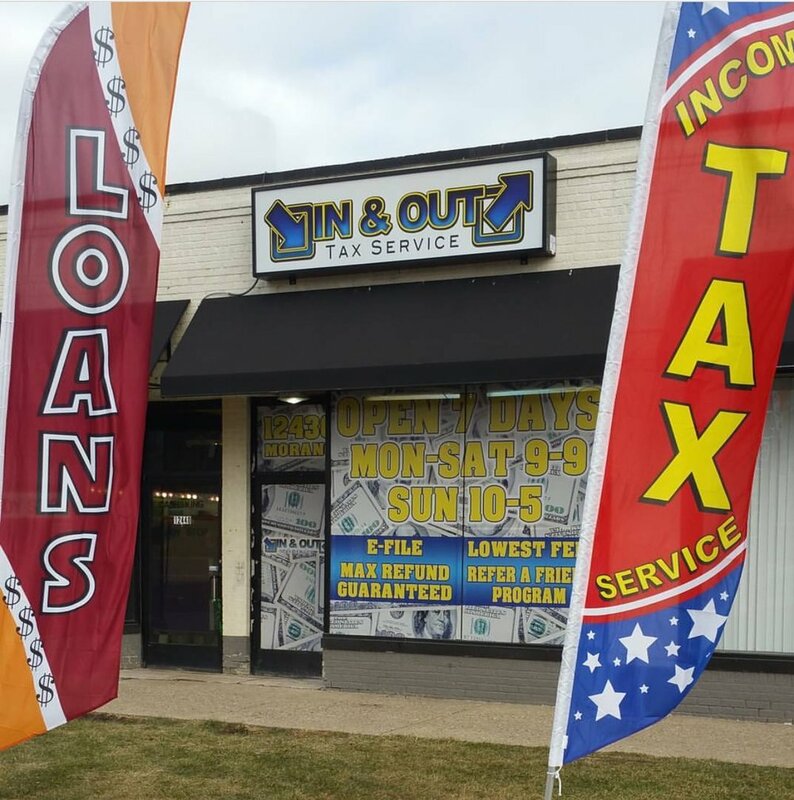 Our Support Team is here to guide you through the necessary steps to get your IN & OUT Tax Service operation open and ready for business. Starting a new business can be overwhelming; however our experienced operations team will lay each step out for you. 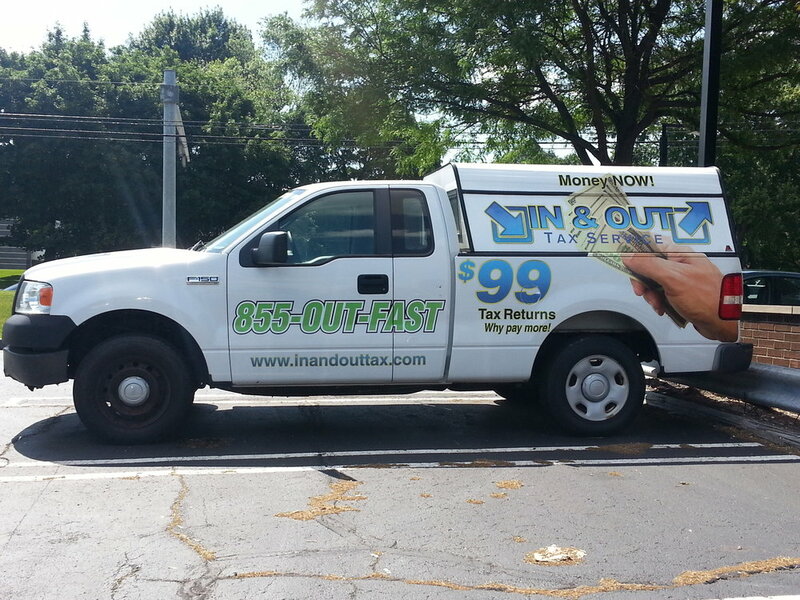 Additionally, the team will be available to assist you in the tax season and post-tax season. This business is more about location and marketing than it will ever be about tax preparation. Our tax software is so easy to use tax preparation can be done by anyone. The hard part is getting customers through the door. We will share our considerable experience and successful tax business marketing strategies with you by assigning you a Business Professional Coaches. 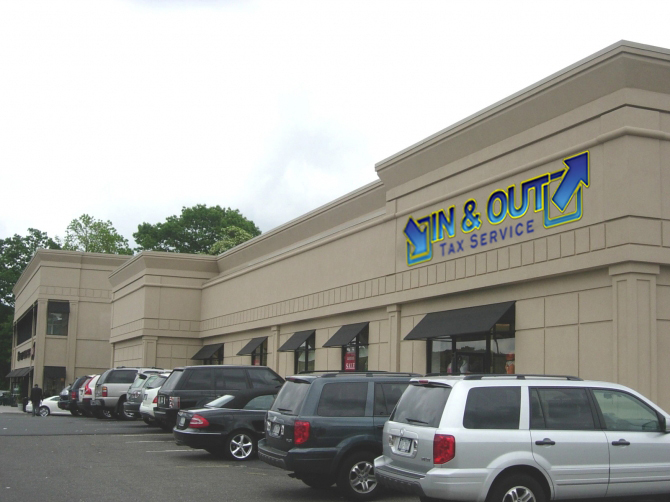 The cost of opening new business locations or developing new untapped territories can often be a financial barrier to business ownership.With IN & OUT Tax Service we jointly discuss opportunities that offer the most affordable and viable business choices. A typical location can range in cost from as low as $500 up to $10,000 and we show how our affiliates get this done. All of our opportunities are priced to make it easy to get into the tax business. In some cases even when you don’t have cash today! Yes, we are all about business! 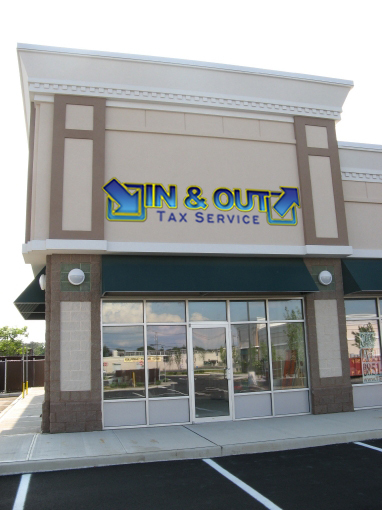 We are committed to making the process of becoming a business affiliate with IN & Out Tax Service as easy as possible. As part of your comprehensive training, prior to the formation of an affiliate relationship, we encourage you to attend our Basic Affiliate Initial Training (BAIT) which is an information packed 5-day training program in Southfield, MI or Atlanta, GA. As a business affiliate, you or someone from your management team will work closely with a representative from our corporate office. In addition, you will collaborate on the site selection and cost factoring process for building out new locations. Other important business discussions will include the process and methods we currently use for training preparers, hiring staff, and implementing local marketing strategies that will capture the attention of the clients we intend on servicing. Upon Completion of your BAIT course, you will have everything you need to become a knowledgeable business affiliate; you will be prepared to advance the first phases of our jointly owned business. 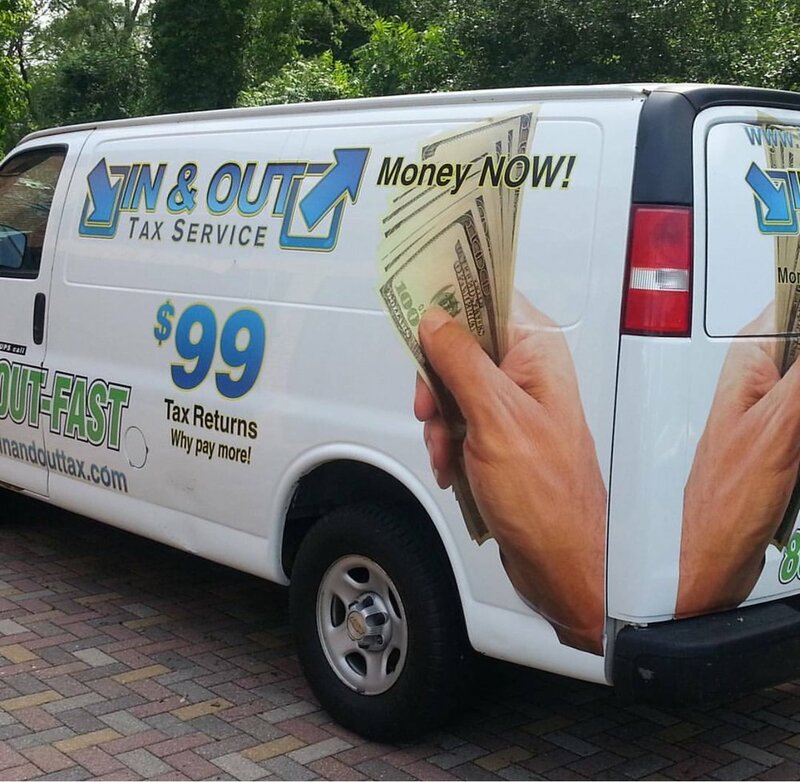 When it comes to marketing, IN & OUT Tax Service provides its business affiliates the most advanced tools and programs to be successful in the tax industry. 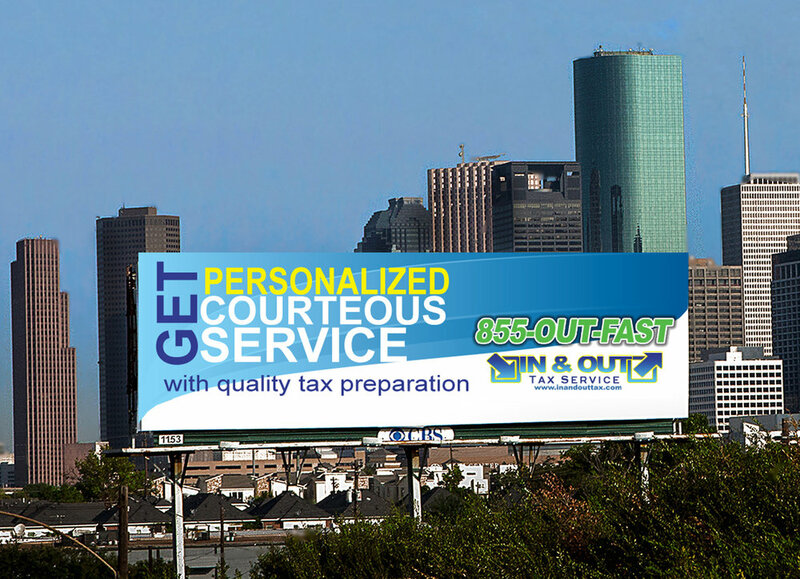 We produce all of our marketing, and as an IN & OUT Tax Service affiliate, you can benefit from knowing that a common message with powerful branding is working daily. Our materials include customized folders, postcards, designed to bring clients into the locations and to capture their business for life. Part of your business affiliate initial training will teach you the importance of strategy and tactics to help you to apply your marketing ideas as an effective marketing plan. The marketing training we provide is ongoing through various seminars, conference calls and is based on the demands of your markets. That’s why every element of our commercial printing department is top quality, from our technology to our designers.Our equipment includes state-of-the-art printing presses, cutting-edge bindery equipment, and other industry-leading technology to give you only the best results. Our designers create custom, impactful print collateral and signage that will be sure to make you stand out in the marketplace.For clients who require direct mailing services, we provide mailing lists, demographic information, turnkey design, and print packages to reach new clients or cross-sell to existing ones. At the end of a meeting, you leave both an impression and a business card. Put your best foot forward. More sales are closed in the US using a brochure or flyer than any presentation or video. Reaching your customer where they are through a professional approach. Posters and interior signage are the largest cross selling vehicles in B2C businesses. The entire world is a stage. Reach out the smart way and put your business in the spotlight. Nobody will know about your special unless you let them know.